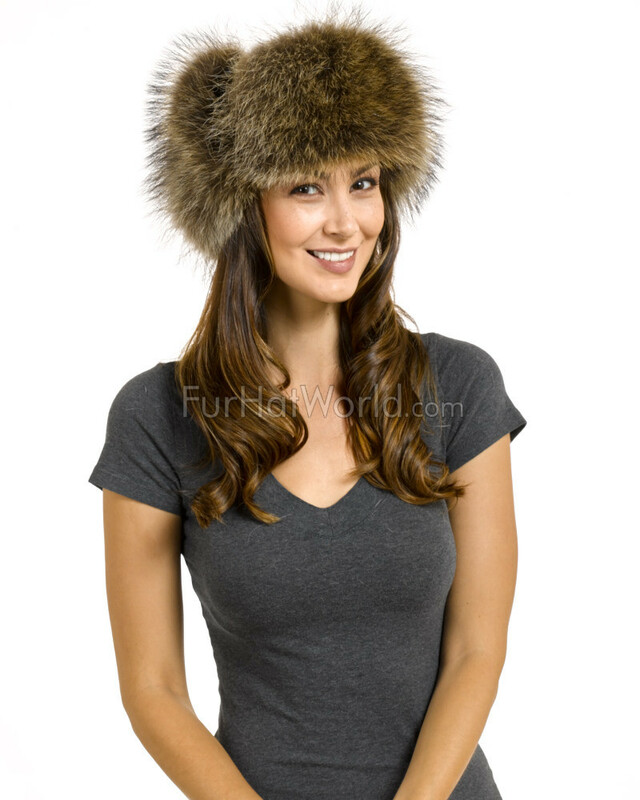 This Women's Raccoon Fur & Suede Russian Officer Hat features genuine Raccoon Fur trim with suede leather shell. 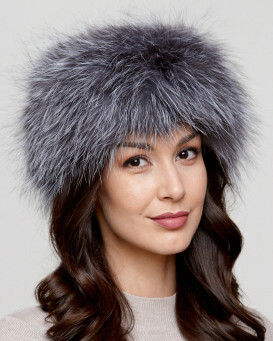 Toasty warm ear flaps tie beneath the chin, on top of the crown or at the back. 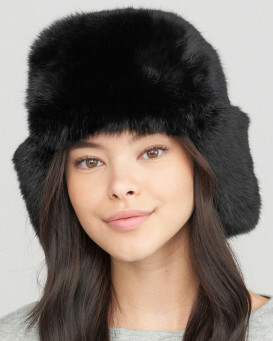 Both the ear flaps and the front brim of the hat can be worn down. 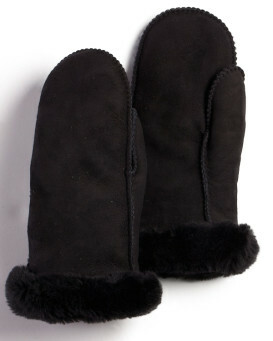 Quilted lining on the inside for added warmth and comfort. 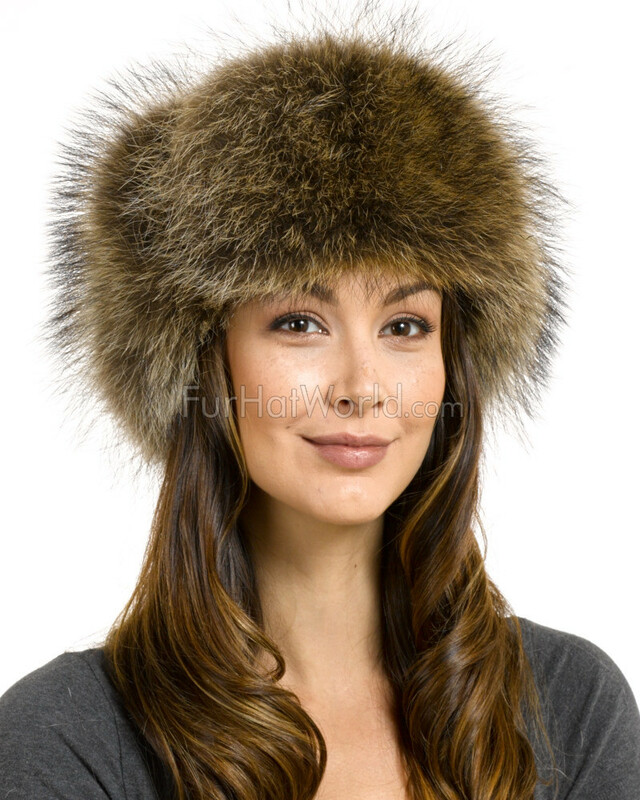 "Quality of fur is outstanding. True to size. Livelier than the photo." "I received the hat very quick and was amazed when I opened the box and saw it! Very good quality, I should've ordered a smaleer size but anyway..Still very happy with this purchase! 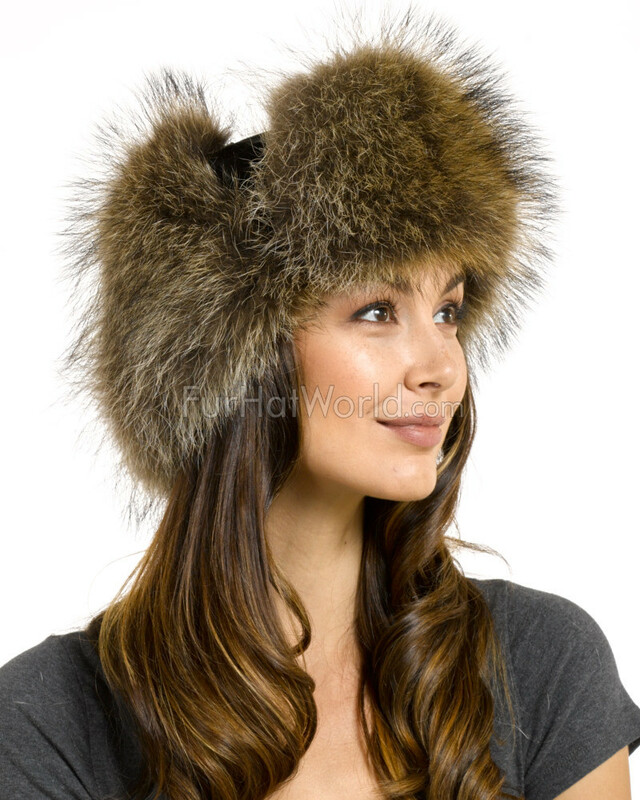 I am planing to order one made from Rabit fur this time! Thank you Furhatworld M"
"My wife extremely happy with her Xmas present. We look forward to snow!" 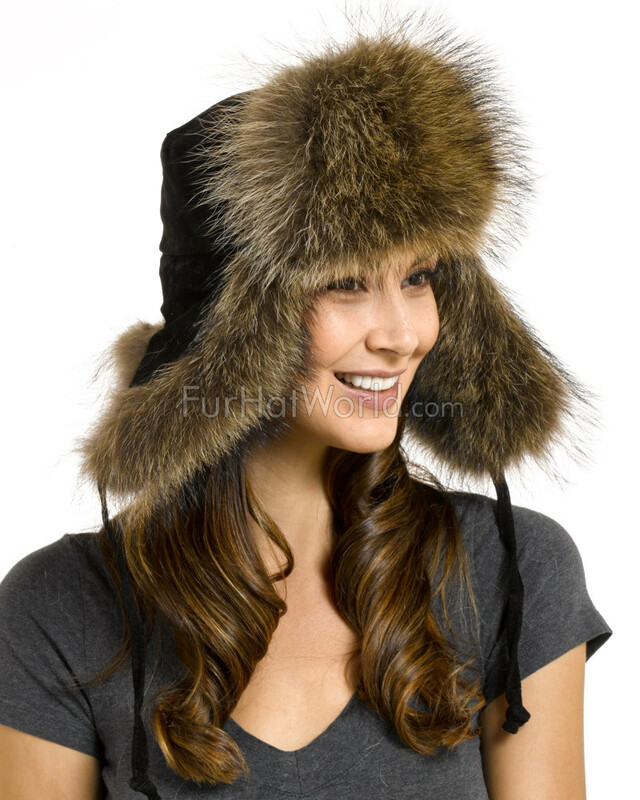 "I ordered this hat for my wife to keep her head warm while we drive the school bus together. FurHatWorld kept me posted on delivery"
"Beautiful product. The quality of the build and fur are exquisite. Can't wait to go somewhere freezing and wear it with pride." "This hat rocks. 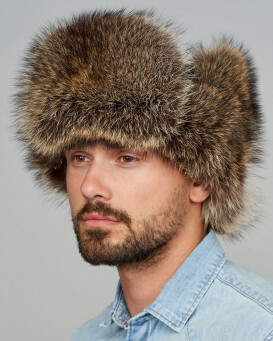 I had a faux fur hat for awhile and loved it so much I decided to spend the dough and get the real deal. I am so happy I did! This is definitely my new favorite hat. Great product, very high quality, and looks fantastic!"